Reydon Sports is the UK and Ireland’s premier trade wholesaler and distributor of industry-leading sports brands. Whether it’s football, hockey, fitness, golf, basketball, educational equipment, sports accessories, Reydon Sports has it covered! History: From humble beginnings as a toy and games wholesaler in the 1970's, the need for sports equipment was quickly realised and on 24th April 1980 ‘Reydon Sports’ was born. ‘Reydon Sports’ soon established itself in the 1980's as a leading provider of sports equipment, offering a complete sports range via its own van delivery service from both its Nottingham and Scottish branches. Sadly, the early 1990's recession hit the sports industry hard, and being part of a larger group ‘Reydon Sports’ was not out of the firing line. In 1993 Frank Doherty (senior) saw the potential of the sports wholesale side of the business and came in with a rescue plan offering ‘Reydon Sports’ a new lease of life. 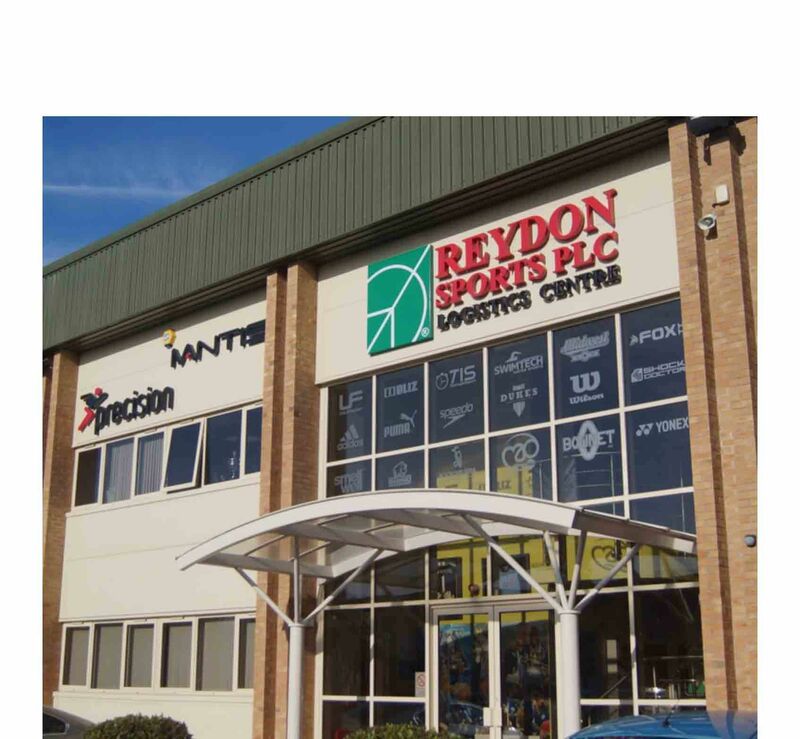 39 years, 40 catalogues and 5 buildings later, ‘Reydon Sports’ has kept its core values, to provide sports equipment and clothing at the best wholesale prices with market leading service and support. Our Vision: Following on from the 2017 appointment of a new management team, they set out with two main objectives – 1. To continue building on the HUGE brand offering we already provide, 2. To continue servicing our customers in the best way possible. Large stockholding means we are RARELY out of stock on both current & new lines. The big brands, the big products, it is vital we are IN stock of these all year round. Customers are the heartbeat of the business and we refuse to underestimate the power of simplicity – SIMPLE WORKS! We make it easy for you to deal with us to ensure you keep coming back time and time again…. Pricing: A full overhaul of pricing was completed in early 2018 whereby ALL customers saw overall price reductions in comparison to standard Trade. The uncertainties of Brexit will continue to rattle the industry but we are dealing with the situation as efficiently as possible, constantly looking for an overall goal of pricing stability. Website: An industry leading B2B website was launched last year and our digital presence is something we certainly pride ourselves in. The website makes reviewing products and placing orders super easy and super convenient, particularly out of office hours. Add items to your wish list, see SRPs, check stock availability and most importantly, see the prices YOU are paying! While we are happy with everything the B2B has achieved so far, on-going improvements is now an essential part of the up keep of this highly important part of our business, from internal ideas to customer feedback, the plan is to make this the most complete B2B platform possible, making your buying experience even easier! Brands: We stock just under 100 brands, many 3rd party as well as own-brands powered by Reydon Sports! Some of these include Precision Training, UFE Fitness, Swimtech, Fox TT, Timing In Sport and many others. Don’t let the hassle of buying in LARGE bulk quantities worry you, we offer a service where buying 1 or buying 1000 is equally as easy. Facilities: Based in Nottingham, United Kingdom, our impressive warehouse holds a whopping 6000+ skus all year round which we are constantly building on by the month. Thanks to the efficiency of our on-site warehousing, processing and dispatching of orders, fulfilling our services to all parts of Europe and beyond isn’t a problem! Reydon Sports do not retail or sell directly to the end consumer. We firmly sit as a trade company that supplies sports retailers and independent customers, passionately supporting this fantastic industry. Start your sporting journey with us today here at Reydon Sports….